It duly inspired and was inspired by directors such as Alfred Hitchcock, Orson Welles and Morris Engel. In a sense, it inspired almost all modern filmmaking efforts. It was such an experimental form of filmmaking—using portable equipment in a documentary style, fragmented endings and long takes—as well as an experimental form of storytelling. French New Wave explored youthful, off-beat subjects, covering social issues and sometimes an existential realism. It was a way for directors to make low budget films and a self-conscious objection of the cinematic culture of the time. Even after its heyday from the late 50s to the late 60s, French New Wave inspired many other international movements such as the avant-garde filmmaking of the Danish directors of Dogme 95, and the social equality Brazilian filmmaking of Cinema Novo and New Hollywood, which inspired iconic directors like Woody Allen, Francis Ford Coppola and Stanley Kubrick. These are just a few of the best movies directly inspired by French New Wave’s cinematic style and unique narrative topics and structure. Almost all of Woody Allen’s movies have elements of the French New Wave movement, but perhaps none as much as “Hannah and Her Sisters”. The film has three main storylines revolving around Hannah, the titular character, during a 24-month period. The three stories tell the narratives of Hannah’s sisters as they are intertwined with each other. 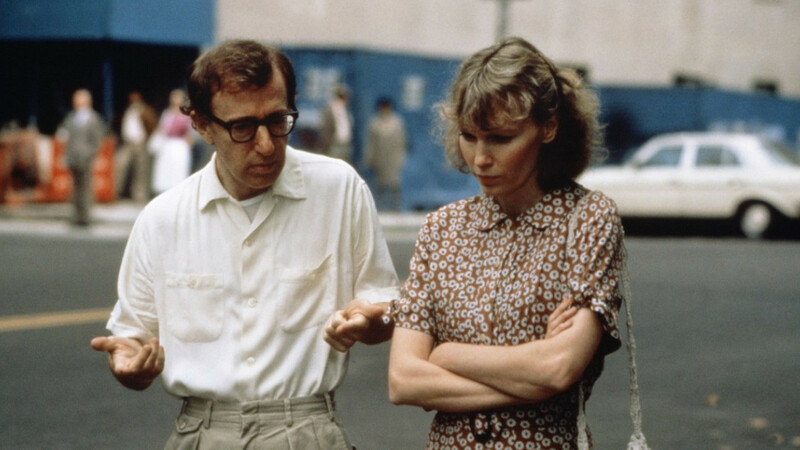 The film stars Mia Farrow, Michael Caine, Barbara Hershey, Dianne Wiest and the controversial master himself, Woody Allen. Like many other movies on this list, “Hannah and Her Sisters” is directly inspired by the work of Jean-Luc Godard. It fluctuates between light and heavy, heartwarming and heartbreaking. Long takes and characters speaking directly to the audience are just part of the French New Wave inspiration. French New Wave plots weren’t necessarily linear and tended to blur in some parts, weaving through time and through focuses. “Hannah and Her Sisters” does this expertly all while keeping an understandable and coherent plot. Godard and Allen were close enough in time to influence one another and “Hannah and Her Sisters” is the product of that influence. This comedic and romantic crime film directed by Tony Scott, but written by Quentin Tarantino, revolves around the explosive romance of Clarence (Christian Slater) and Alabama (Patricia Arquette). The couple meets while talking about Elvis Presley in a kung fu movie theater. It turns out Alabama is a prostitute, but the couple fall in love and marry anyway. One night, Clarence sees a vision of Elvis telling him to shoot Alabama’s pimp. Chaos ensues. The movie was a critical success, receiving mostly positive reviews; however, despite its current cult following, it was a box office failure. “True Romance” can arguably be seen as a homage to Jean-Luc Godard’s “Breathless”. Tarantino wrote this film with similar characters and a similar plot line to the classic. Both “True Romance” and “Breathless” have the tough-guy anti hero and stylish but dangerous damsel. Tarantino took inspiration from the criminality of the plot and the philosophical musings of the characters in “Breathless” to create another film triumph. The story is about the deeply religious Bess (Emily Watson) and her marriage to Jan (Stellan Skarsgård). When Jan becomes immobilized from a work accident, he asks her to begin relationships with other men. Because of this, Bess is sexually degraded by strangers for the love of her husband and the love of God. This film was a major part of the realist Dogme 95 movement. This movement was influenced by the French New Wave movement with it’s realistic plot structures and gritty camera work, excluding the use of special effects technology. In “Breaking the Waves”, Lars von Trier uses hand-held camera work and grainy imaging, and he tells a heartbreaking story that was far from the stylized films of the time. It was a form of rebellion among Danish filmmakers to take back power from the studios, much like French New Wave. Starring Ethan Hawke and Julie Delpy, “Before Sunrise” follows the young couple as they meet on a train in Europe and spend the night walking and talking together around Vienna. The movie ends on a mysterious note, as the couple parts ways agreeing to meet up at the same place in six months. The minimalist plot and charming chemistry between the two main characters make this movie a cinematic success. The attraction between the couple is reminiscent of “Breathless”, with their witty dialogue and playful teasing. In the movie, Hawke is somewhat reminiscent of the Godard-style hero, like Jean-Paul Belmondo. The chemistry and relationships Linklater’s characters have are similar to realism but have the charm of the French New Wave character. His relationship with Delpy in the film is romantic, but on a deadline. While the two impulsively spend the whole night together and have a deep romantic connection after only knowing each other a couple of hours, the plot seems fantastical. Somehow with the chemistry between Hawke and Delpy, it seems somewhat realistic. They had a great night together but it was just one night. All good things must come to an end. 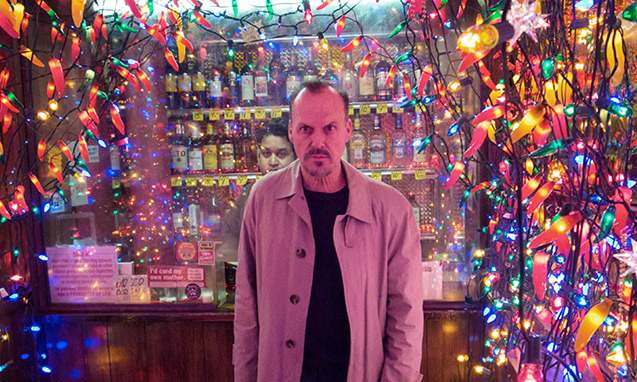 “Birdman” was the most nominated and awarded film at the 87th Academy Awards (tied with “The Grand Budapest Hotel”) and won both Best Picture and Best Director. 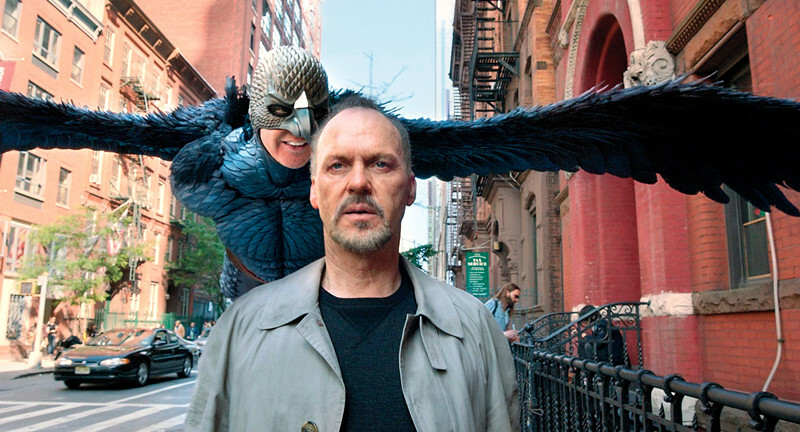 The film is about a fading actor named Riggan (Michael Keaton) who is famous for playing the superhero Birdman. Riggan frequently has hallucinations and mocks himself as his Birdman character. The movie had both an all-star cast—including Keaton, Edward Norton and Emma Stone—and an incredible cinematic style. What makes this film so unique is the cinematography and editing. The movie almost looks as if it was filmed in a single shot. It feels like the long tracking shot of the French New Wave taken to the extreme. Alejandro Iñárritu lets the camera drift while characters interact with one another, and floats back and forth between main and supporting plotlines and characters. The filmmaking technique dramatically enriches the film and, not only employed, but improved a technique used by French New Wave.